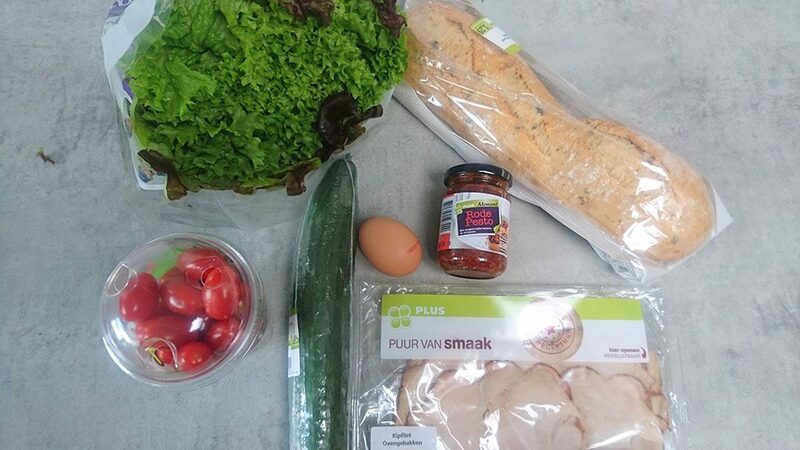 You won't leave without making this smoked chicken breast and red pesto sandwich with cucumber, egg, tomatoes and curly lettuce! 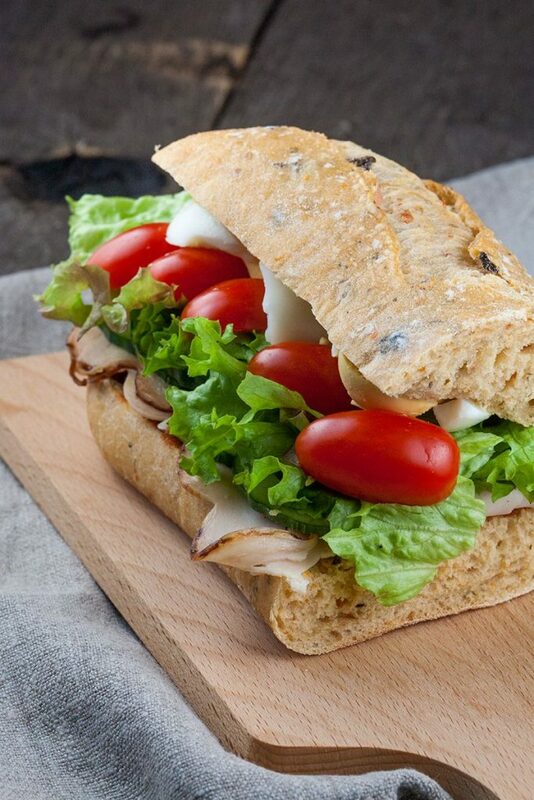 Recipe for two sandwiches. FILL the small saucepan with water, place the egg(s) into the pan and bring to a boil. COOK the egg in 7 – 8 minutes. MEANWHILE wash the cucumber, lettuce and cherry tomatoes. COOL the eggs immediately after cooking under running cold water to stop the cooking process. It will also make peeling easier. SLICE 1/2 cucumber into thin slices. SLICE the cherry tomatoes in two. SLICE the French bread in two halves using a bread knife. SLICE each half-open. COVER both sides of the bread with the red pesto using a spoon. 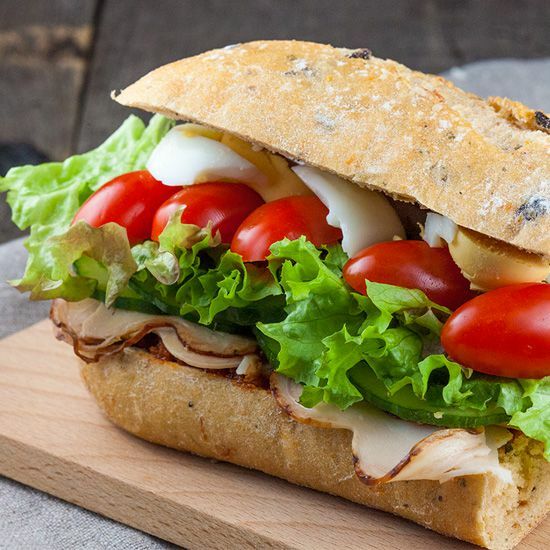 ADD slices of smoked chicken breast, curly lettuce, cucumber, cherry tomatoes and egg. PLACE the other half of the bread on top. 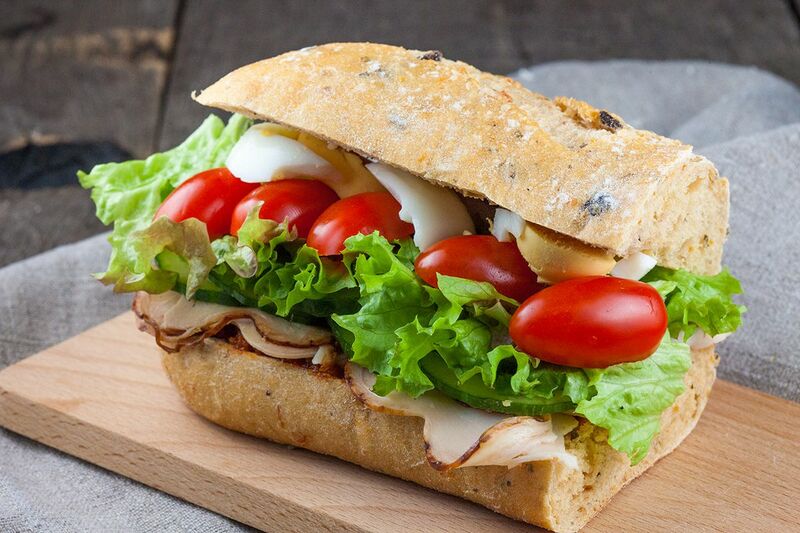 REPEAT this step for the other sandwich.